So, let me get this right – as far as 'Russia dis it!' SS has joined the MSM bandwaggon by condemning before the investigation is completed? With Porton Down's director flatly contradicting the lies of the baffoon Johnson and the police refusing to comment the SS has sided with some NATO/EU countries who believe that Russia is guilty until proven guilty – or not – whatever, you know they did it!Always thought we were above such stuff. Following is a discussion on the page titled: Pathfinders: Capitalism’s Bond Villains. iNot read the pathfinder article. 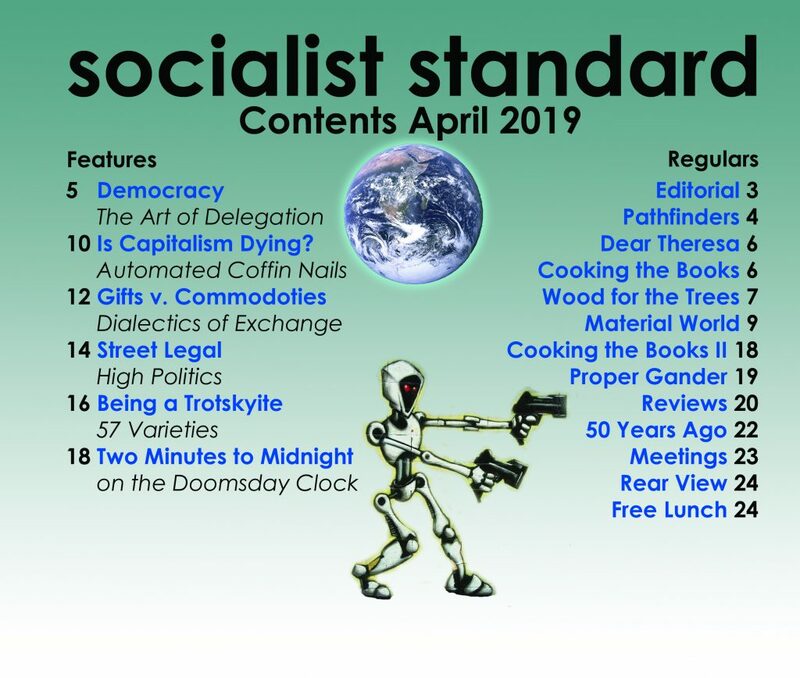 I am appalled by the SPGB position. The whole thing stinks. I have read around the subject including non RT material. Including the chemistry behind it. And I am a chemist. But I didn’t believe the Iraq WMD thing and Colin Powel lying to the UN about Botulinum toxin etc. But then again I have cultivated Clostridium Botulinum myself as part of the microbiology subsidiary course I did as part of my HND in food science and technology that I did in addition to by Bsc in chemistry. [ it wasn’t a weapons grade toxin course; it is bog standard procedure as you need to be able to do it as a control for the analysis for Clostridium Botulinum as it is a obviously serious hazard in canning of foods] http://www.oxoid.com/uk/blue/prod_detail/prod_detail.asp?pr=CM0151&org=55&c=uk&lang=en http://www.oxoid.com/UK/blue/techsupport/its.asp?itsp=faq&cat=toxin+detection&faq=tsfaq003&c=UK&lang=EN&print=Y Presumably we all know about capillary gas chromatography analysis with mass spectrometry detection and the principal of organo-phosphate residue analysis and determination by inference? Anyway she is risen! …When Putin, upon the accusation of the first men amongst us, condemned Julia to be poisoned by chemical weapons, those who had formerly loved her did not cease to follow her on facebook, for she appeared to them on the third week, living again, as the divine prophets foretold, along with a myriad of other marvelous things concerning her…. So then as a test; who do we know for certain has produced the secret novichok and why and when? 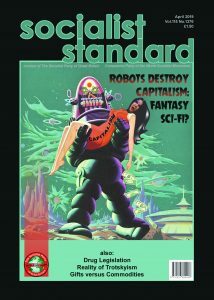 Not read the pathfinder article.I am appalled by the SPGB position. Surely we shouldn't confuse the political shenanigans about Johnson exaggerating what Porton Down had told him (their remit doesn't extend to its exact provenance) with the underlying point that on the overwhelming balance of probability this emanated from Russia one way or the other – and with some sort of state forces assistance somewhere along the line?If this had emanated from the US we all know that the far left would be the first to denounce it as a CIA conspiracy, yet the racist, homophobic Russian regime gets different, special treatment from them on the usual bizarre grounds 'that an enemy of an enemy must be a friend'. Credit where it is due to Craig Murray, who first spotted and publicised the inconsistencies in the public line, and the apparent cobbling together of an agreed position with porton Down.However, the balance of probability is that it was the Russian state: but it is not proven beyond a reasonable doubt.Corbyn et. al. have been right to call for clearer evidence, and to reign back a government that seems hellbent on exploiting the incident.The current line, that the chemical is of a Novichok family and could only have been produced by a state actor is itself a bit wobbly, as far as I understand, nerve toxins are organo phosphates, the species of chemicals used in pesticides: so I see no reason why someonew (a Russian oligarch?) in posession of a pesticides plant couldn't have made the chemical (unless I am missing something).Nonetheless, Russia seems to have bought plausible deniability, but it is more likely than not that the Putin regime did the hit. iLavrov said the document indicated that the samples from Salisbury contained BZ nerve agent and its precursor. He said BZ was part of chemical arsenals of the U.S., Britain and other NATO countries, while the Soviet Union and Russia never developed the agent.Lavrov added that the Swiss lab also pointed at the presence of the nerve agent A234 in the samples, but added that the lab noted that its presence in the samples appeared strange, given the substance’s high volatility and the relatively long period between the poisoning and the sample-taking.He noted that OPCW’s report didn’t contain any mention of BZ, adding that Russia will ask the chemical weapons watchdog for an explanation.Britainsaid that the A234 agent belonged to the family of Soviet-designed nerve agents dubbed Novichok.https://nypost.com/2018/04/14/russia-swiss-lab-analysis-shows-nerve-agent-designed-in-west/ This could get interesting. So were the poisoned with the less than lethal BZ toxin. And biological samples taken later spiked with Novichok A234 and sent to OPCW and analysed gas chromatography with Time-of-flight mass spectrometry (TOFMS). And the computer running the instrument method already had the mass charge ratio/residue fingerprint data on it for BZ toxin and flagged it up on a retention time/peak in the chromatogram? I bet that wasn’t supposed to happen. Sorry, it is my day job. Perhaps you mistook my comment as one that accuses you of hearsay, Dave. Not so.I am saying Lavrov cited bits and pieces of a report that has not been published and it is his interpretation of it, that is hearsay.The full report has not been made available to the media so it can be peer-reviewed. The company has made no comment on whether Lavrov quoted its findings accurately or inaccurately nor explained why its supposed findings were not included in the OPCW report.Lavrov's unsupported comments has not added any clarity but simply muddied the waters, further.He is claiming that Russia did not possess the technical means to carry out the attempted murders, therefore, is innocent. But that NATO did possess the capability and thus guilty.Unless it is to smear the Russian state, something less complicated to do in many other ways, I am confused about where is the UK motive? But i think i said it on this thread…spies lie…that is their trade. i “We know where your kids are” There was an interesting interview with former director general of the OPCW. The Americans got rid of him during the Iraq WMD story as they didn’t like his management style. He was told by John Bolton that if he didn’t resign within 24 hours. “We know where your kids are” 4 minutes in https://www.youtube.com/watch?v=iRONBTkNogY these are the people we are dealing with.